Have you seen the movie Baahubali? 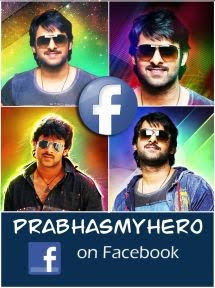 Do you love it? 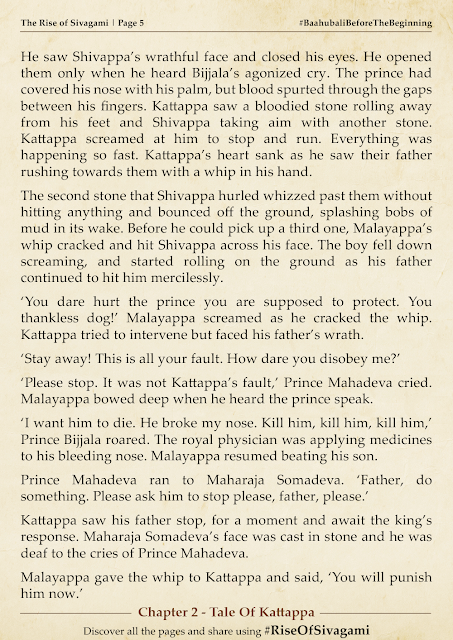 I am sure the answer to this question for most of us is "yes". 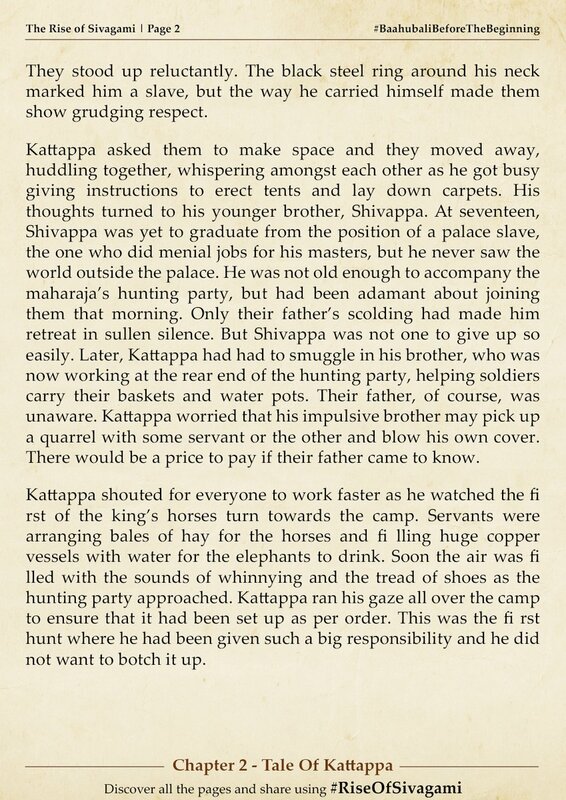 There is a lot of mystery to the story that has left us, the audience stunned, bizarre and wondering. 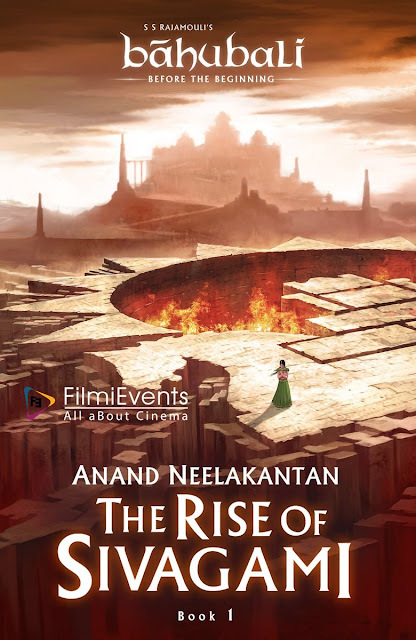 To know the what, why and how of a lot that happened in the movie Anand Neelakantan, the best selling writer of highly acclaimed books like Asura and Ajaya has now penned the story of the times when it all began. 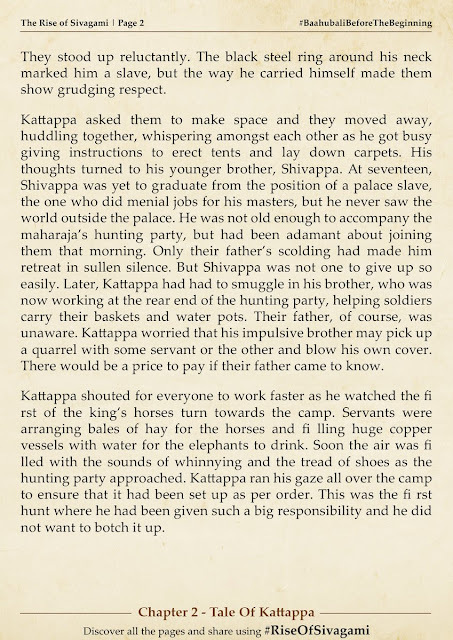 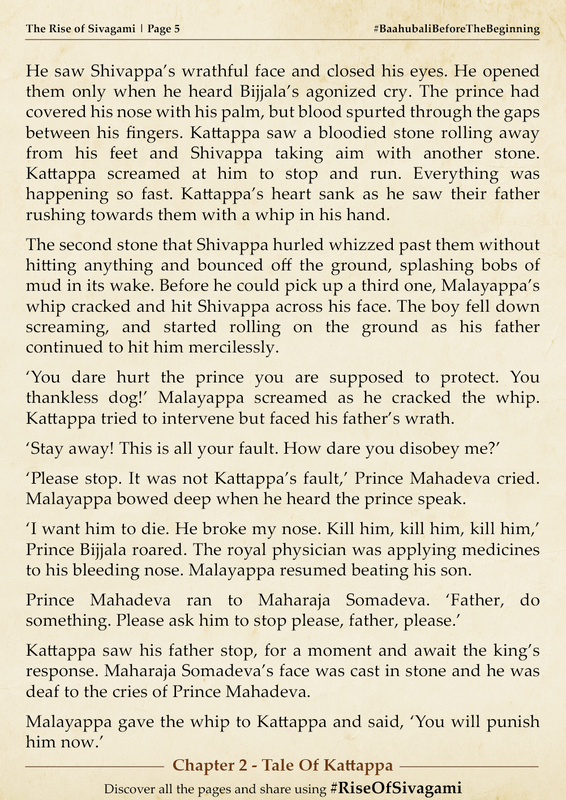 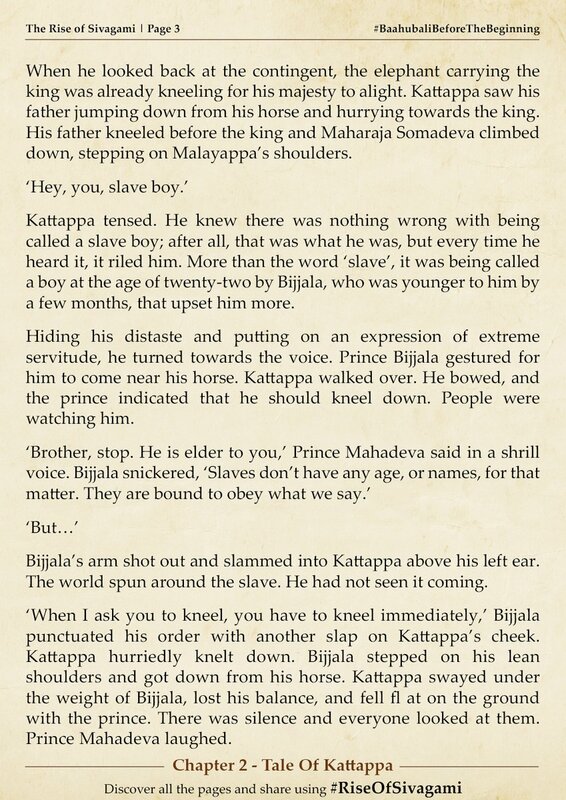 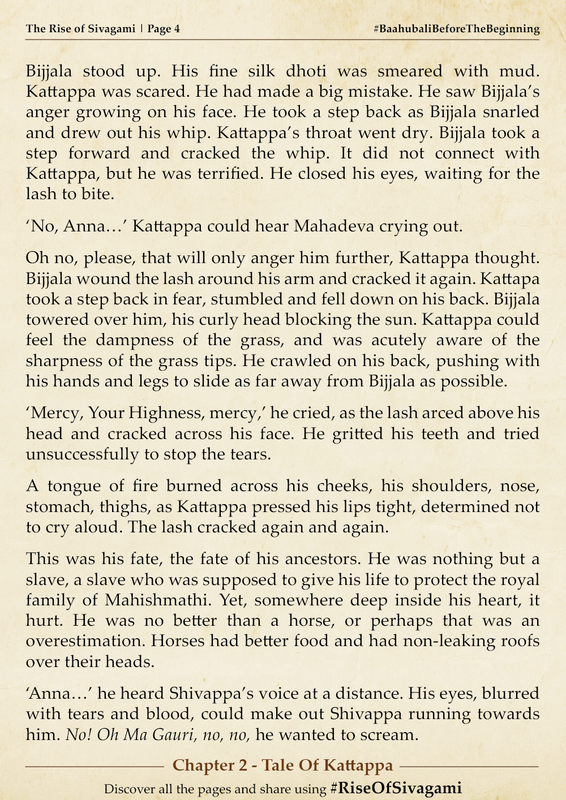 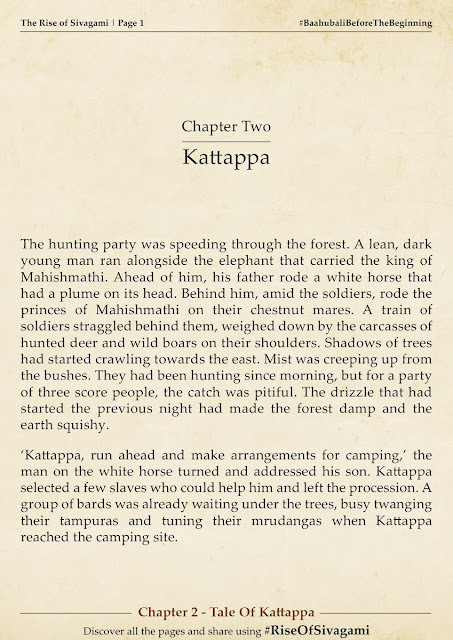 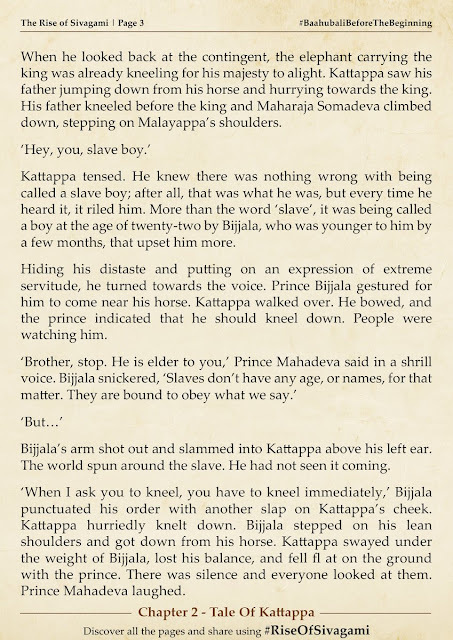 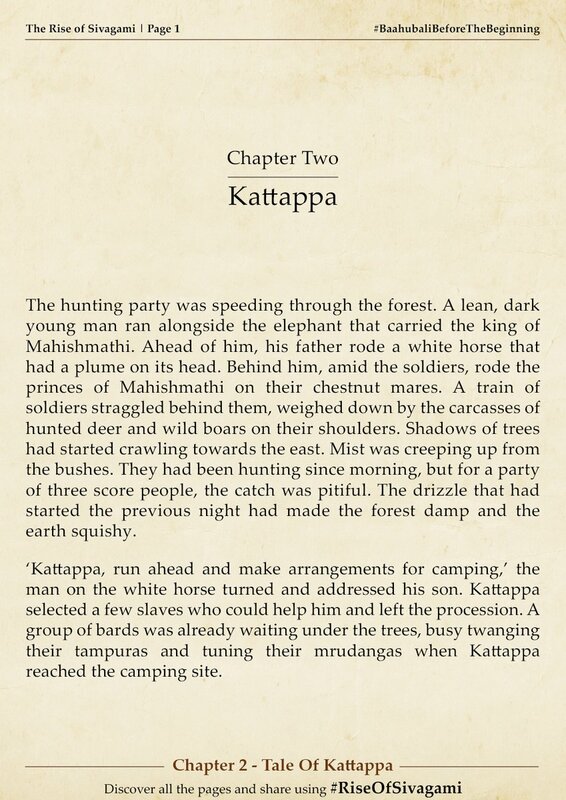 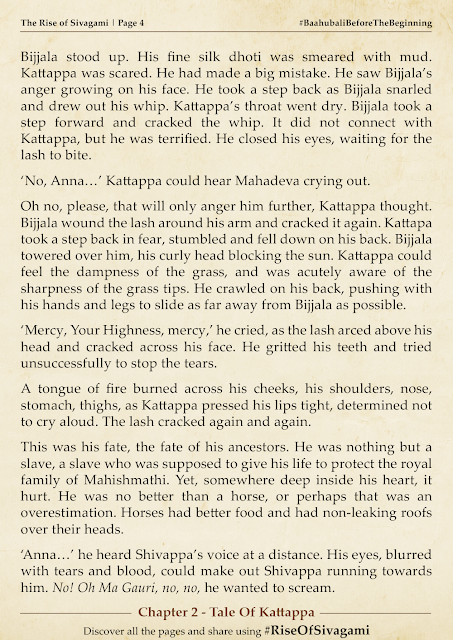 We bring to you here the first six pages of Chapter 2 from the first book which is on one of the most mysterious characters "Kattappa".